Technology in India is shrinking with the course of time. Not in terms of capacity, but in terms of size. Gone are the days when huge computing devices were the trendsetters. Now, the smaller device you own, the smarter you look! These technologically equipped devices first became smaller to fit a desk, and then shrunk to sit on lap and now they can fit in our palms or even could easily be tagged to our clothes, ornaments and sometime on our body. Implantation is still at a sci-filevel! Talking about the numbers, a report from Transparency Market Research says, globally, the wearable market will touch $6 billion mark by 2018. This brings the compound annual growthrate (CAGR) of 40.8 per cent from 2012 to 2018. India has shown a humongous bend towards wearable technologies and this has happened in no time. Indian start-ups have taken this fragmented industry with a storm and many new technology innovations have been done around the same. From navigationshoes, to track-able ornaments, and from fitness bands to solar backpacks, we have them all. The word ‘wearable gadget’ caught fire soon after the advent of ‘Google Glass’ that broke new grounds and created a room for innovation which was earlier a flight of fantasy. This was followed by the Apple Watch that fuelled the wave of wearables in India. People in India have started getting more and more heath conscious, but at the same time, they want an easy way out. We don’t want to waste our time and money in gyms andon fitness coaches. If a device can make this happen, then we are good to go. 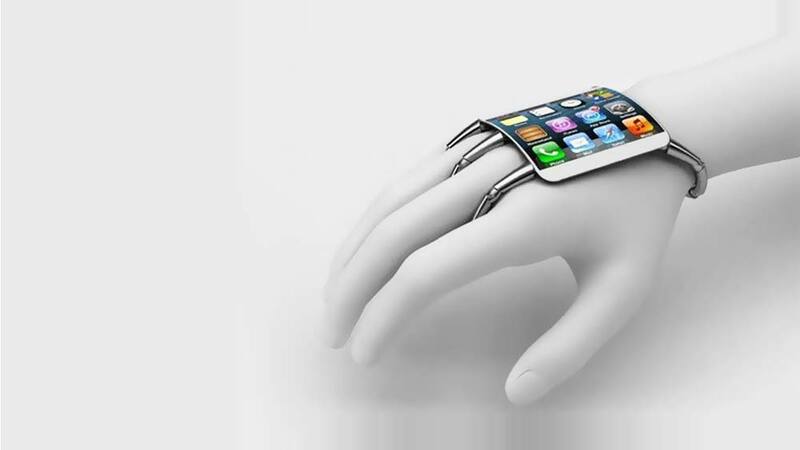 Mobile apps, digital solutions and wearables are going to be the ‘next big thing’ in the coming time. • In a country that churns out 1.5 million engineers every year and with such a strong bend towards technology and data analytics, it’s quite obvious that businesses will gravitate towards wearable technology. • Another reason being same as that of other categories and that is ‘everything that starts in the West happens here soon’. Silicon Valley accelerated the wave of wearable technologies by funding many such companies in the recent past. data, and the mantra was very well caught by entrepreneurs across the world. The kind of data these personal devices are going to provide will become a huge repository for data miningand big data analytics. Today, the wearable industry is largely divided into 4 categories; Fitness, Healthcare, Industrial and Infotainment. Market isflooded with fitness bands and shoes, smart-watches, healthcare gadgets such as headsets and sensitive device incorporated clothes to measure brainwaves and many more. As per Global Trends and Forecast, mobile health app and solution market will be worth $20.7. Fitness and Healthcare will hold the lion’s share in the coming years. Women safety is a big reason to worry in this country. Keeping this in mind, safety devices are being made. It not just keeps a track over your location, but connects you with your family throughout the day. In another survey, it has come up that 80 per cent of Indians responded aggressively on desire to buy wearable tech and this could open a door of huge opportunity in the coming years. The next 3-5 years could easily push India for doing transactions of more than Rs 200 million market size in this space. As there are not many predecessors in this sector, these start-ups are learning by their own mistakes. Trial and error methodology has been adapted by these players. Even investors feel the risk in stepping into this space which is at its nascent stage. Awareness is the other major concern in this sector as not many international brands have made their presence in the country. Costing has always been one the biggest challenge in terms of consumer acquisition. These wearable devices due to its technology and materialistic expenditure become a little expensive to the end users. Though industry players are trying their best to make it price efficient, but this might take some time. This new found wearable trend is likely to take the market upside down in the coming decade. “We can visualise a day in near future when everything that we wear will have technology inside. From clothes to watches to jewellery/accessories, everything will be smart and equipped with cutting edge technology”, said Batra. With all eyes pointing at wearable industry, the competition here is going to be HUGE! All businesses will have to have a game plan in place to act on the competitive opportunities, while taking note of the challenges too. Wearable is not just a product, but an alcove in the digital market.